Not every home inspector is qualified on every home in Mississippi. That's right! To inspect new construction in Mississippi the inspector is required to have a "New Home Designation". Why is that important? It means more experience and construction background is required! In fact the inspector must hold a residential contractor license and have been tested and be code certified. 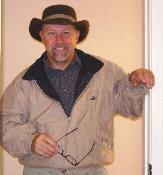 I've been working in Real Estate as a home builder and inspector since 1974. No other inspector in Mississippi has more experience or is more qualified. Hello, I'm Gary Smith and I encourage you to visit my website, www.garynsmith.net to learn more about our inspection techniques and to easily order your home inspection online. Plus, you'll get home maintenance tips, advice and learn how to save money, energy and how to live in a cleaner, more resource efficient, living environment.